The Vision Tokyo is the latest trailblazing spatial experience to come from Mercedes-Benz: its monolithic structure, futuristic design idiom and unique lounge ambience in the interior define it as luxurious, young and progressive – thus making it a fitting tribute to the sophisticated megacity and trendsetting metropolis that is Tokyo. 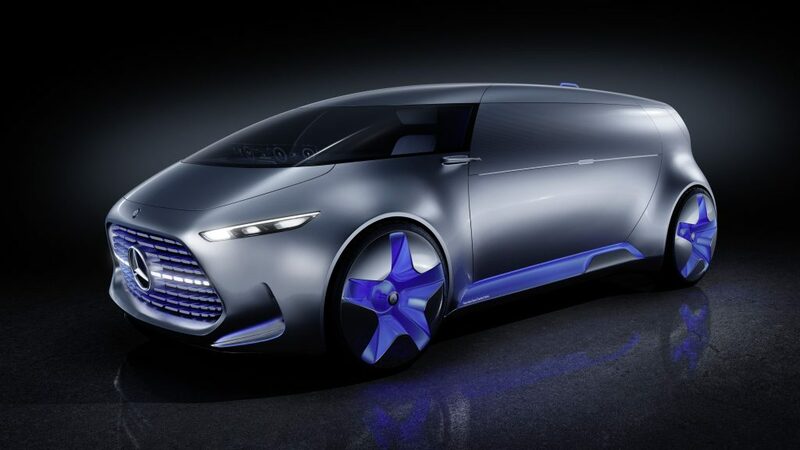 Spatially efficient, versatile and intelligently connected, the Vision Tokyo – which is also capable of driving autonomously – is an urban transformer that reflects the growing youthfulness of the Mercedes-Benz brand. At the same time, this innovative five-seater continues a tradition of visionary design-study showcars that has included the Vision Ener-G-Force (Los Angeles, November 2012), AMG Vision Gran Turismo (Sunnyvale, 2013) and G-Code (Beijing, November 2014). Japan’s capital city Tokyo represents home to some nine million people, in an area that is just 622 square kilometres in size – smaller than Paris but with more than four times as many people. This megacity represents a fascinating combination of tradition and contemporary high tech and is constantly defining new trends – making it the ideal location for the premiere of the Mercedes-Benz Vision Tokyo. It will be on display to an international audience for the first time at the Tokyo Motor Show (30 October to 7 November 2015). 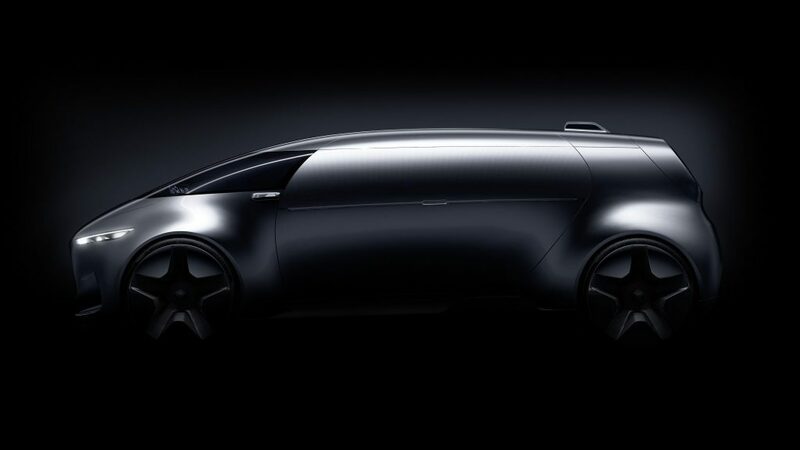 Gorden Wagener, Head of Design at Daimler AG: “The Mercedes-Benz Vision Tokyo embodies the concept of an automotive lounge for a future generation of megacities. The purity and sensuality of the Vision Tokyo’s styling defines a new interpretation of modern luxury from Mercedes-Benz.” The conceptual message of the vehicle reflects the increasingly youthful appeal of the Mercedes-Benz brand and perceptions of it as a stylistically influential design brand. The Vision Tokyo is the brainchild of the designers working within Mercedes-Benz’s global network of Advanced Design Studios. 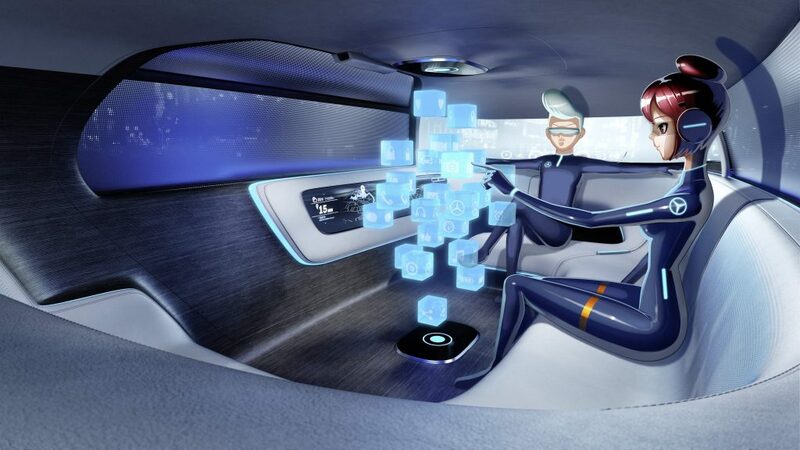 Hot on the heels of the F 015 Luxury in Motion autonomously driving luxury saloon comes the Vision Tokyo, with which Mercedes-Benz aims to show how the car of the future can be turned into a hip living space – a chill-out zone in the midst of megacity traffic mayhem. The Vision Tokyo is a homage to the urban Generation Z, the cohort of people born since 1995 who have grown up with the new media. The role of the vehicle has changed for this global generation: it is no longer simply a means of getting around, but a digital, automobile companion. 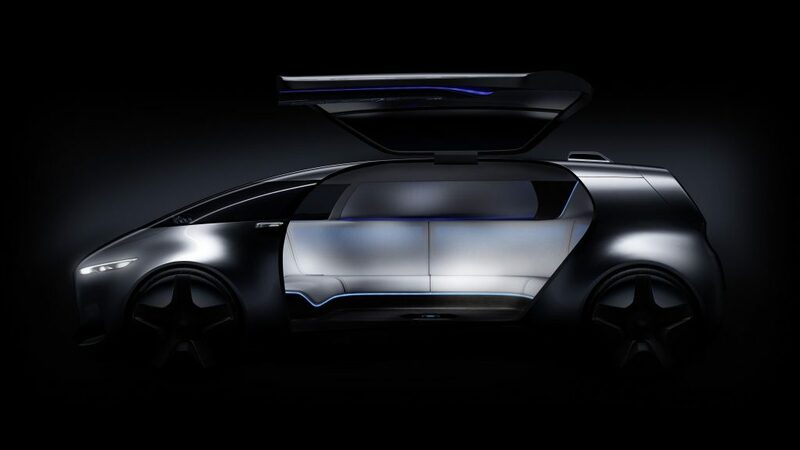 The Vision Tokyo takes things another step further: innovative algorithms allow it to evolve constantly; Deep Machine Learning and an intelligent Predictive Engine mean that, with each journey, it becomes more and more familiar with its occupants, their likes and preferences. All of which makes the Vision Tokyo the perfect partner for Generation Z. 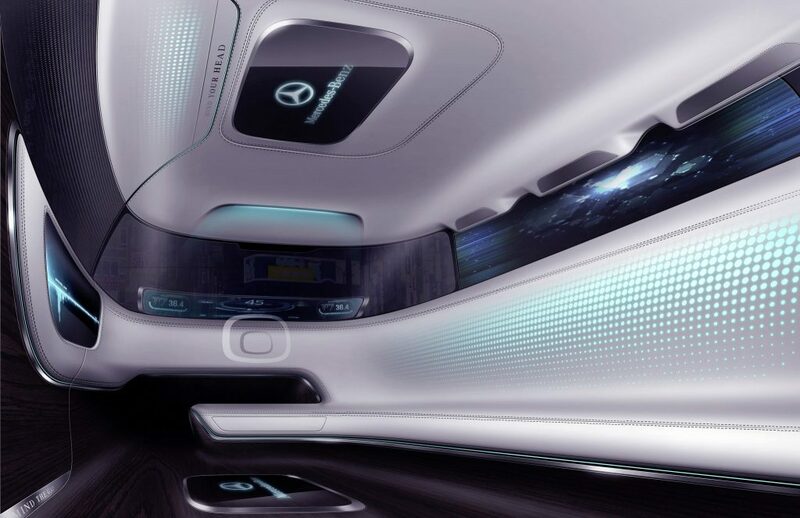 The spaciousness of the Vision Tokyo marks a new conceptual approach for Mercedes-Benz Cars. These proportions are emphasised by the monochrome Alubeam paintwork and by side windows screen-printed in the colour of the vehicle. These give the vehicle’s occupants privacy, while at the same time allowing sufficient light to penetrate into the interior and an unimpeded view out. Surfaces and lines illuminated in blue – among them the 26-inch wheels and the side skirts – provide unexpected colour highlights and are indicative of the concept car’s emission-free electric drive system. 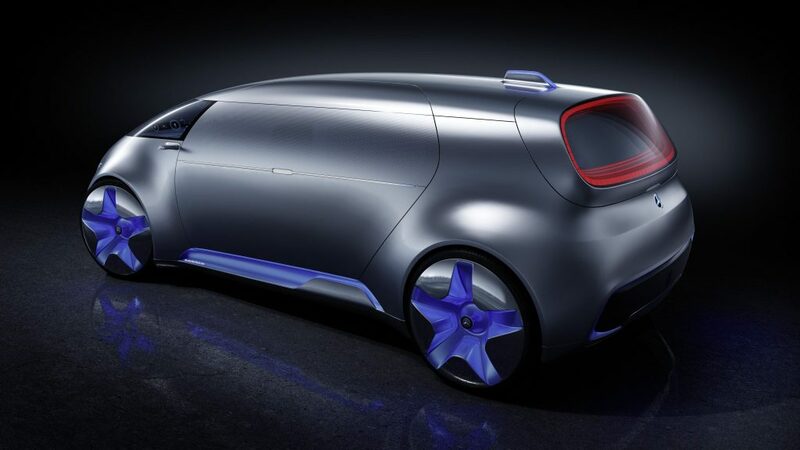 A pointer to the potential for autonomous operation and the comprehensive system of vehicle environment sensors that this requires, including a 360-degree camera, is provided by the fin on the vehicle roof. Instead of a conventional windscreen, the Vision Tokyo features a continuous stretch of glass panelling – similar to the glazed cockpit of a powerboat. As was the case with the AMG Vision Gran Turismo, the front headlamps are set well to either side and at an angle. The area across the front of the vehicle can be used to display a series of different lighting functions. If music is playing inside the vehicle the display will, for example, visualise a sound pattern, rather like a sound analyser. The rear window is set into a surrounding ring of red LED cubes, which gives it visual depth. Once again, the LED field can be put to good use – as an indicator display or as part of the analyser function. The dimensions of the Vision Tokyo (length/width/height: 4803/2100/1600 mm) are comparable with those of a mid-series vehicle. Up to five passengers access the interior via the upward-swinging door on the left-hand side – ideal for the right-hand-drive traffic in Japan’s megacity. The conventional seating arrangement in rows is thus redundant, while there is also no “front” or “back” here: passengers take their seats instead on a large, oval-shaped couch. 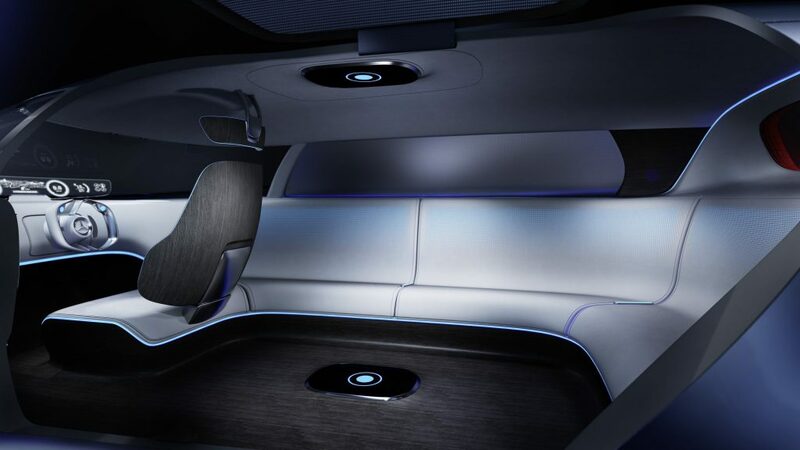 This unique lounge-style arrangement allows everyone on board to enjoy the benefits of autonomous driving. For even though the members of “Generation Z” are frequent users of social media, they nevertheless prefer personal contact whenever possible. And it is for this face to-face communication that the seat layout has been optimised. As a contemporary-style club lounge, the Vision Tokyo brings people together. 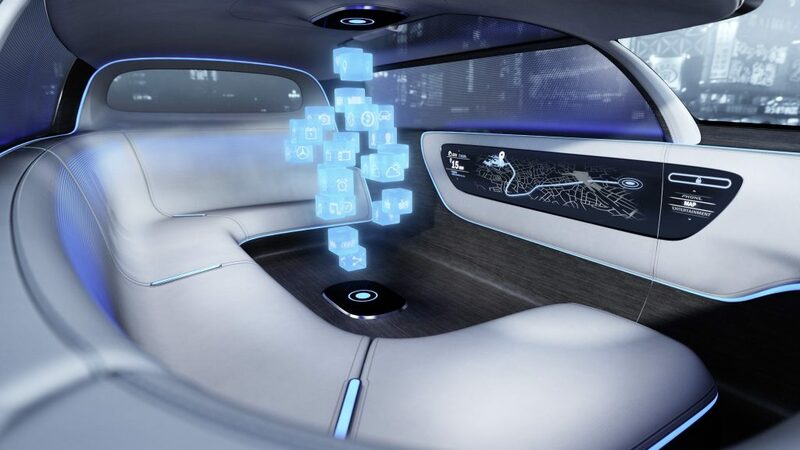 With the car in autonomous driving mode they are able to chill and chat, without having to worry about steering a way through the dense traffic. Behind the passengers are large wraparound LED screens. The perforated seats are back-lit, giving rise to a high-tech ambience that presents an intentional contrast to the soft surface finish of the pale leather. Apps, maps and displays emanating from the entertainment system are presented as three-dimensional holograms within the interior space. 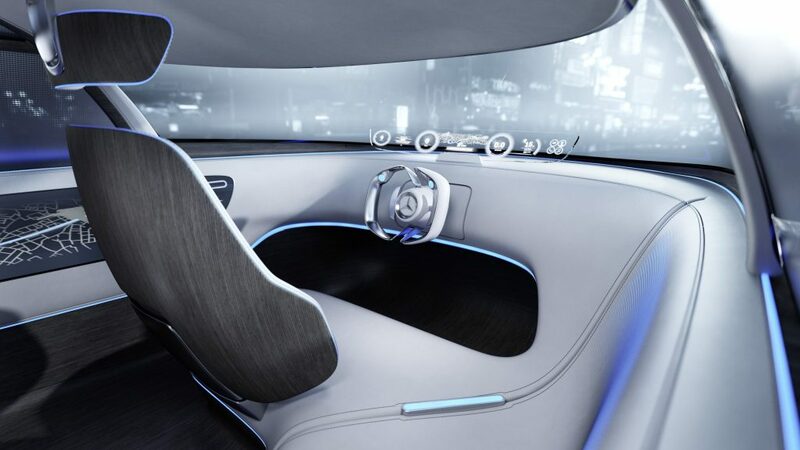 Should there be a requirement for the Vision Tokyo to be controlled manually rather than it driving autonomously, a seat facing in the direction of travel can be released from the centre of the couch at the front, rather like the “jump seat” in an aircraft cockpit. The steering wheel, too, is then moved from its standby position into driving position. The Vision Tokyo continues a tradition of visionary design-study showcars that has included the Vision Ener-G-Force (Los Angeles, November 2012), AMG Vision Gran Turismo (Sunnyvale, 2013) and G-Code (Beijing, November 2014). Thanks to the global nature of the Mercedes-Benz Design function, these concept vehicles take cues from local trends in design, culture and mobility and make these the focal point of the respective mobility concept. At the same time these showcars are already looking well beyond the next generation of vehicles. When it comes to its Advanced Design activities, Mercedes-Benz relies on a global network: designers and modellers in five Advanced Design Studios in Carlsbad (USA), Sunnyvale (USA), Como (Italy), Beijing (China) and Sindelfingen (Germany) mull over ideas for the vehicles of tomorrow – and beyond.